Society frowns upon Vandalism because it reeks of rebellion and destruction, however it is not always like that. Sometimes, vandalism can actually be quite harmless and hilarious. 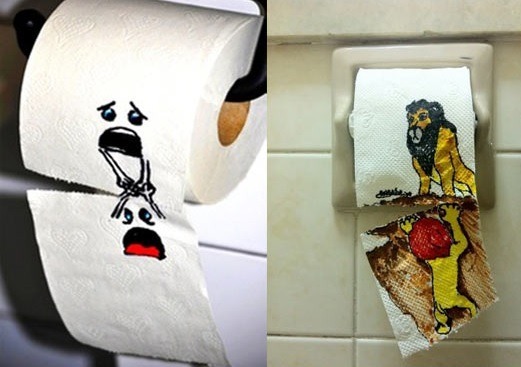 In this post we have listed up photos that show hilarious acts of vandalism. While we’re completely against destruction in any way shape or form, vandalism that’s harmless and hilarious as depicted in these photos doesn’t seem so bad after all. Scroll on and enjoy peeps. Share this post with your friends and family to show them that vandalism doesn’t always entail destruction, sometimes it is just a hilarious form of artistic expression. 1 How can you expect me to throw something in this? 2 That's actually very creative! 3 That's a bad bad Gorilla!! 4 When artists use the toilet..
6 This cracks me up.... Every single time! 7 I wonder how many people actually used this switch! 8 He just had too many drinks! 9 Give a medal to the guy who did this..
11 That's what dragons are supposed to do, right? 12 This looks like one heck of a heist! 13 When people say sorry after hurting me..
14 Creativity at its best! 16 That's a pretty long tail! 17 The dead must be proud of this guy! 18 Someone needs a haircut! 19 It indeed looks like one! 20 He don't seems to like his nose! 21 Well, he was getting old! 22 I just love cookies!! 23 You cant separate true love..
24 Watch out! Spidey is coming..
26 The walls are watching!! 27 You got to look out for those jazz hands! 28 That's a thirsty rat! 30 The kids must have scared the house! 31 That's a good looking umbrella for sure!